I will be reviewing a face cleansing tablet. I found the idea to be quite interesting as when you don’t want to keep a face wash with you then keeping these tiny tablets can be very convenient. 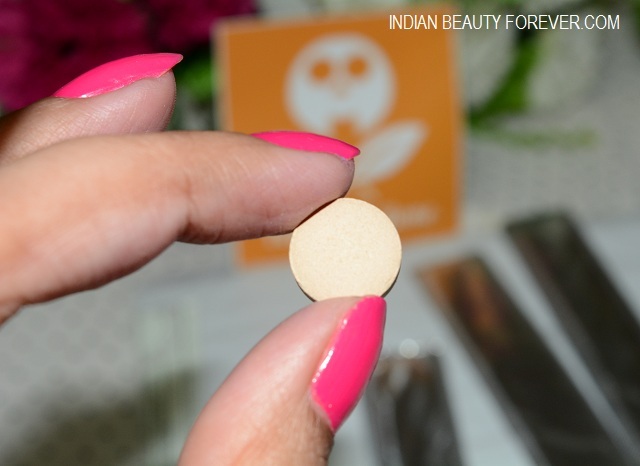 These face gems are actually face cleansing tablets which are very easy to use. I have this sample packaging but original packaging is different. In a pack there will be 60 tablets that costs $15 which Feather & Bone ships worldwide. 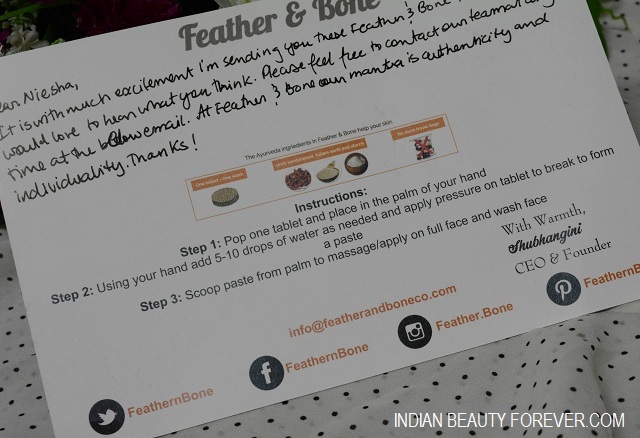 How to use Feather & Bone Face Gems: Place one tablet and place that in the palm of the hand. Then add few drops of water on the hand and mash the tablet. Apply this paste on the face and massage the face. Then wash the face with clean water. I liked the concept and the fact that these face cleansing tablets. 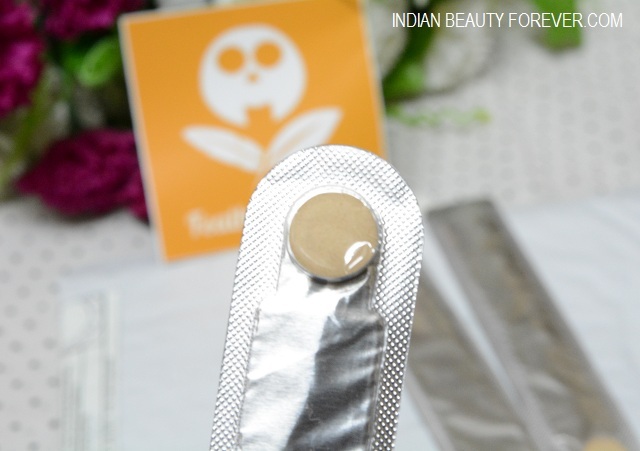 These tablets are prepared using the Ayurvedic ingredients like sandalwood and multani mitti, that is also known as Fuller’s earth. Sandalwood acts as a natural skin cleanser and removes the dirt and cleans the pores. Fuller’s earth also exfoliates the skin and also tones it. 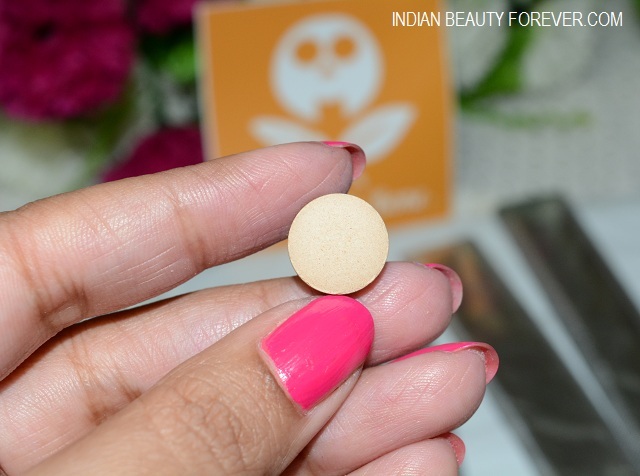 These facial tablets also contain starch that acts as a natural skin moisturiser. This also relives the dry itchy skin. The first time, I used these tablets, I felt really good, the reason was that the tablet dissolves in water fast and makes a paste. After rubbing that paste on the face my skin felt a lot supple and smoother. The tablet when gets melted gives a whiff of sandalwood and fuller’s earth. I liked mixing the tablet with water until it get converted into a paste. The application of paste gives a face pack like feel which cleanses and hydrates the skin. Washing the product off the face is so easy and without any hassles. The best part was the feel that I got after using these tablets. The feeling of putting in all natural product was great. I really appreciate the idea of Feather & Bone in creating these face gems. 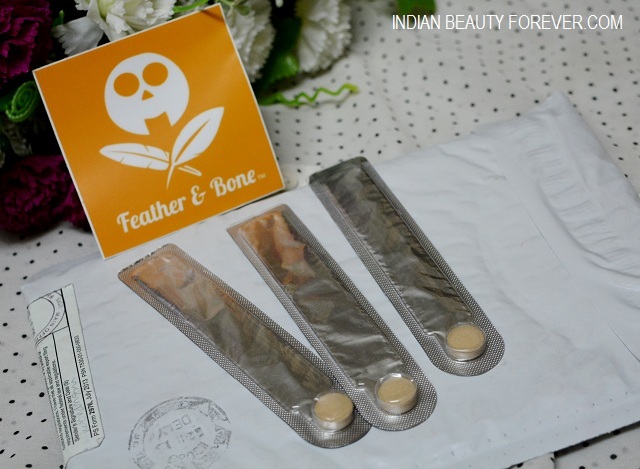 Feather & Bone Face Gems are easy to use and made from natural Ayurvedic ingredients like sandalwood and fuller's earth that improves the skin texture and tone at the same time cleansing the skin gently. I liked the concept and the idea behind these tablets, hence would love to try them for longer in future. These sound nice and look perfect for travel.